If you have sensitive skin, or especially eczema and psoriasis, you know that chemicals, and even seams and labels in clothing, may make your symptoms much worse. I love to buy clothing made of organic cotton when it is possible. So that’s why when I learned about Cottonique’s unbleached organic cotton underwear, I was eager to try them on me, and my 5-year old son. We love it. One of the reasons I love to buy organic cotton is because the way conventional cotton is grown pollutes the environment. Unfortunately, according to the Pesticide Action Network (PANNA), conventionally grown cotton uses more insecticides than any other single crop. Nearly $2.6 billion worth of pesticides are sprayed on cotton fields each year — accounting for more than 10% of total pesticide use and nearly 25% of insecticide use worldwide. Moreover, in 2015 the USDA approved genetically modified cotton that resists 2,4-D herbicide, meaning that more of it can be used. 2,4-D herbicide is linked to cancer, is toxic to fish, and pollutes our water supply. 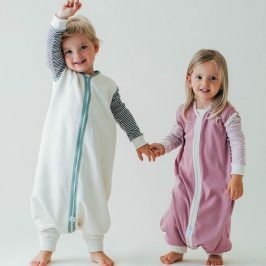 Note that there is a distinction here between clothing made with certified organic cotton and certified organic clothing. GOTS (Global Organic Textile Standard) can certify raw materials, fabrics, facility, or the whole product. So if clothing is made of certified organic cotton, but the whole product is not certified, it may contain potentially harmful materials such as dyes, chlorine bleaches, glues, etc. However, Cottonique unbleached organic cotton underwear is certified as a whole product, which means that even non-organic ingredients adhere to GOTS standards. Cottonique took it a step further and designed this unbleached organic cotton underwear for people with super sensitive skin in mind. For example, the seams are covered and labels are designed in such a way to prevent any irritation. There is no elastic, latex, bleach, or dyes of any kind. My 5-year old son does not have eczema, and he likes his Star Wars underwear so I was not sure if he would like these plain briefs. But he loves them. He actually prefers them over all the other ones. He says they are fuzzy. They do have slight fuzziness on the inside. 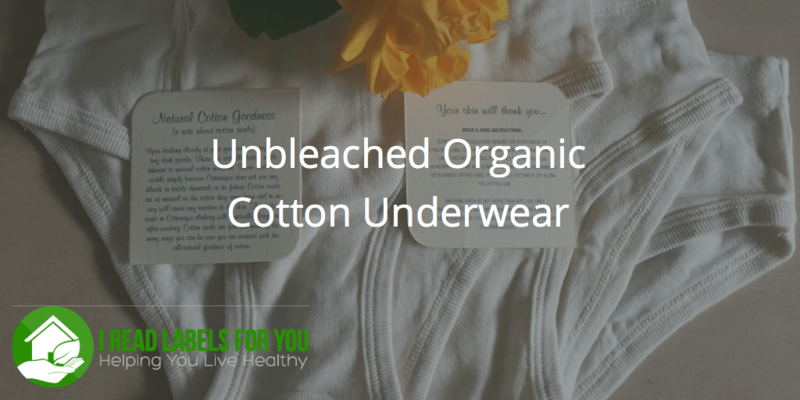 I got this unbleached organic cotton underwear for me, too, and I love it. Considering that there is no elastic, they are pretty comfortable. And lastly, they are NOT made in China. They are made in the Philippines, which makes these items affordable. Please share this post with anybody who has sensitive skin. For your convenience, I included links to boys’, girls’, women’s, and men’s items separately. I appreciate your diligence, integrity, persistence, and great suggestions. Is there a good company that makes a bra without harmful chemicals? I have a rash and it is only where my bra has contact with my skin. I have read that some bra companies use formaldehyde.